Almost four decades ago, in response to the Arab oil embargo and recession it triggered, Congress passed legislation restricting crude oil exports and establishing the SPR to release oil to the market during supply disruptions and protect the U.S. economy from damage. After decades of generally falling U.S. crude oil production, technological advances have contributed to increasing U.S. production. 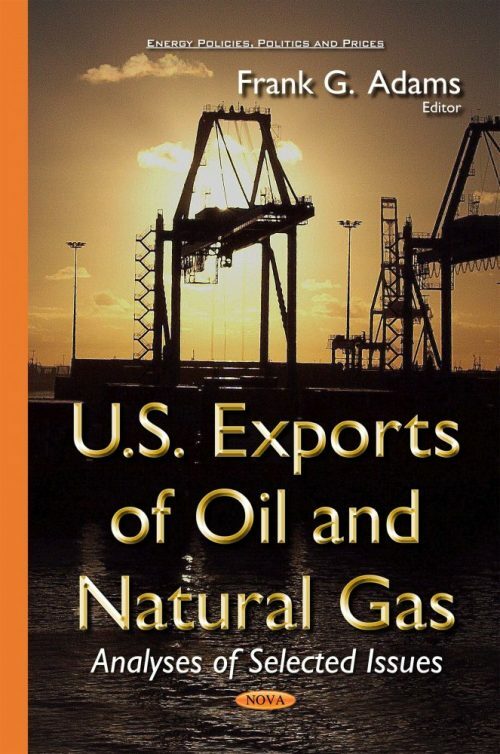 This book examines what is known about price implications of removing crude oil export restrictions; other key potential implications; and implications of recent changes in market conditions on the SPR. This book also discusses and describes the status of applications to export liquefied natural gas-natural gas cooled to a liquid state for transport- and the Department of Energy’s process to review them; and the status of applications to build LNG export facilities and FERC’s process to review them.